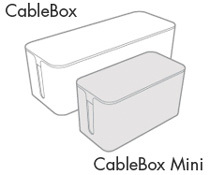 Baby sister of the CableBox, the CableBox Mini works in an equally simple way (it is in fact delivered without instructions of use): a very sound fire-retardant ABS box with a lid and 2 lateral slits to let cables through as you see fit. 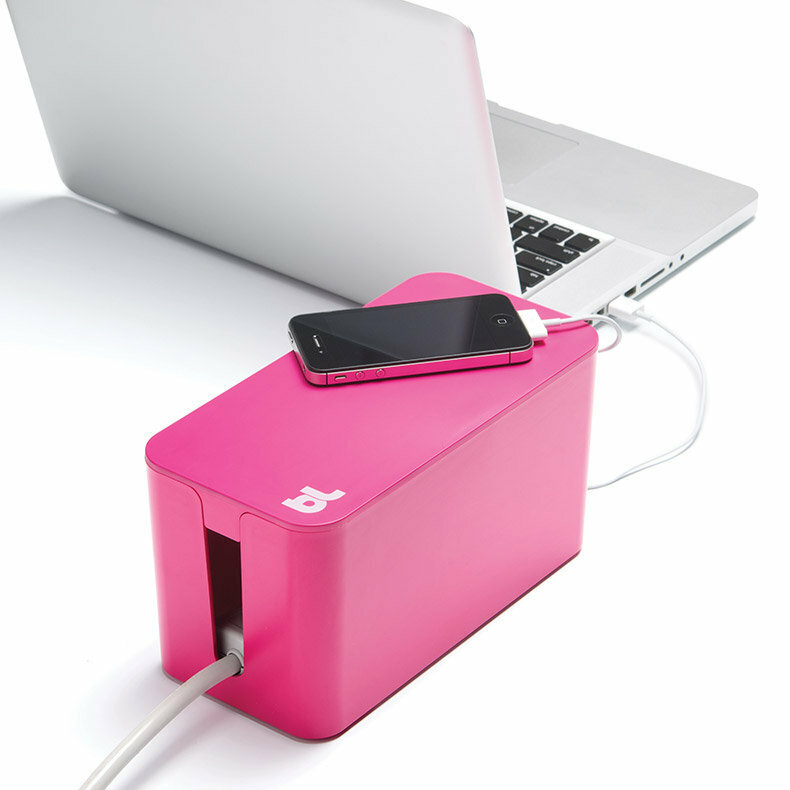 you choose the colour (pink, black or white) that best matches the place where you want to put it. 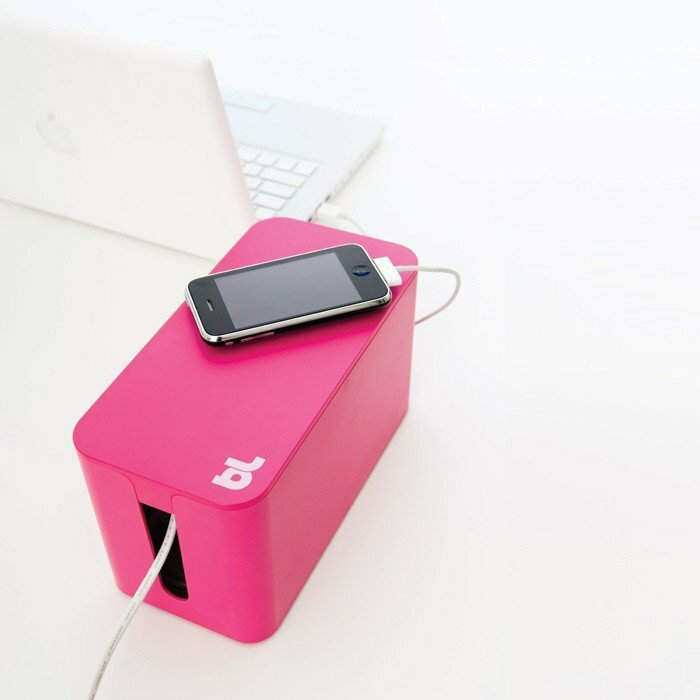 LaPaDD has been offering the charger box from the German design agency Ding3000 for sale with success for two years already. 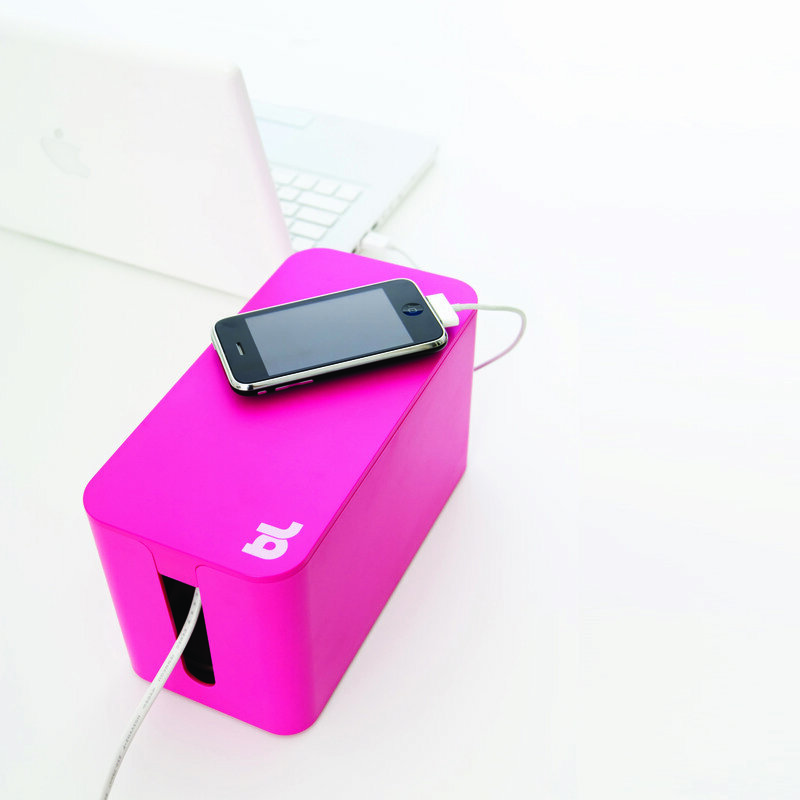 Made of stainless steel, it harbours on its surface a very chic felt fabric to charge one's small devices. 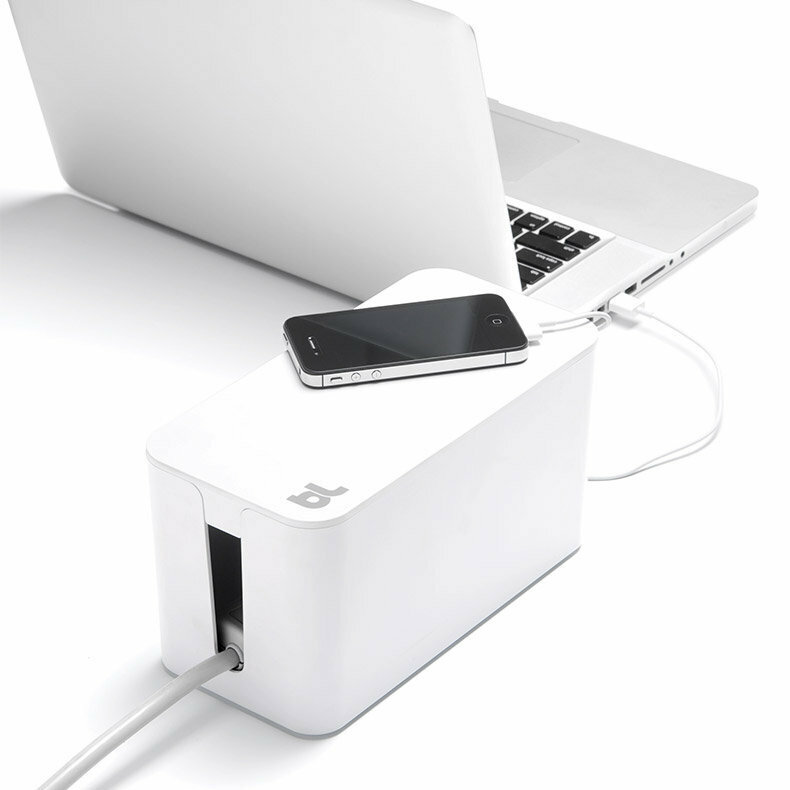 The CableBox from BlueLounge® was designed with a slightly different approach that we greatly appreciate at LaPaDD: it is more about hiding the mess of cables, power strips and potential transformers in a clean box, with a sober and discreet appearance than offering a charging station, like the charger box. 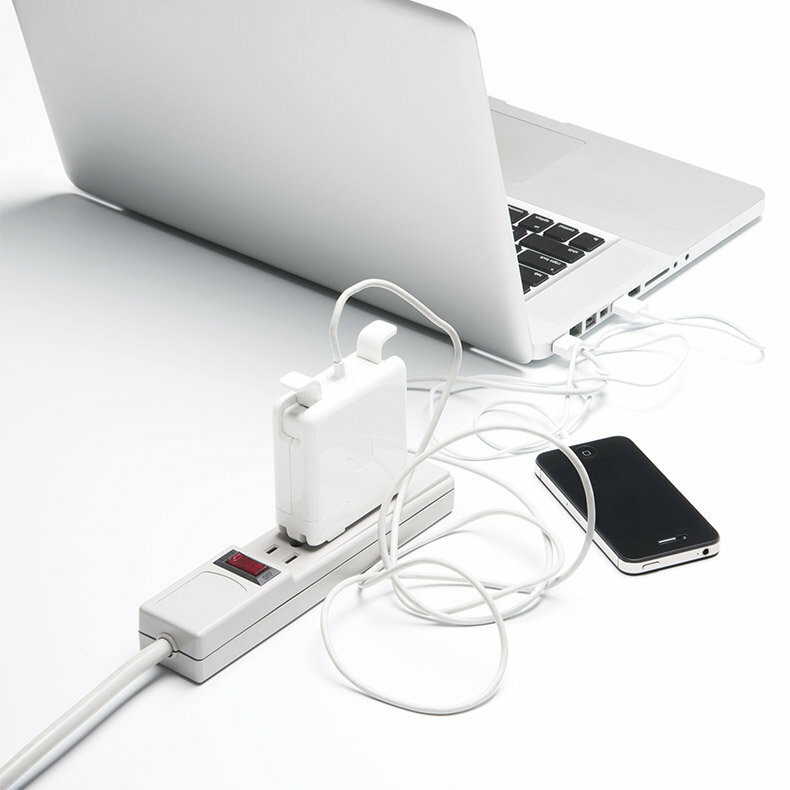 Much longer but narrower, it allows you to elegantly take on board larger power strips, thus becoming the ideal companion for your telly/hifi/video or computer installation (or both because the more time passes, the less you can keep them separate...). 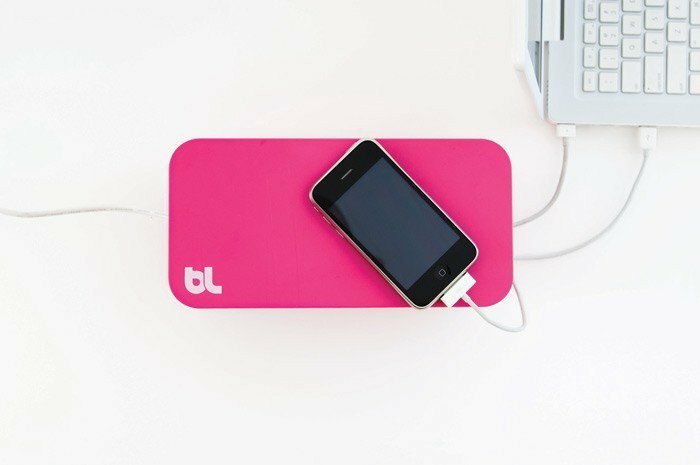 It therefore lends itself more to the motionless organisation of connections than to the back and forth movements of mobile devices. 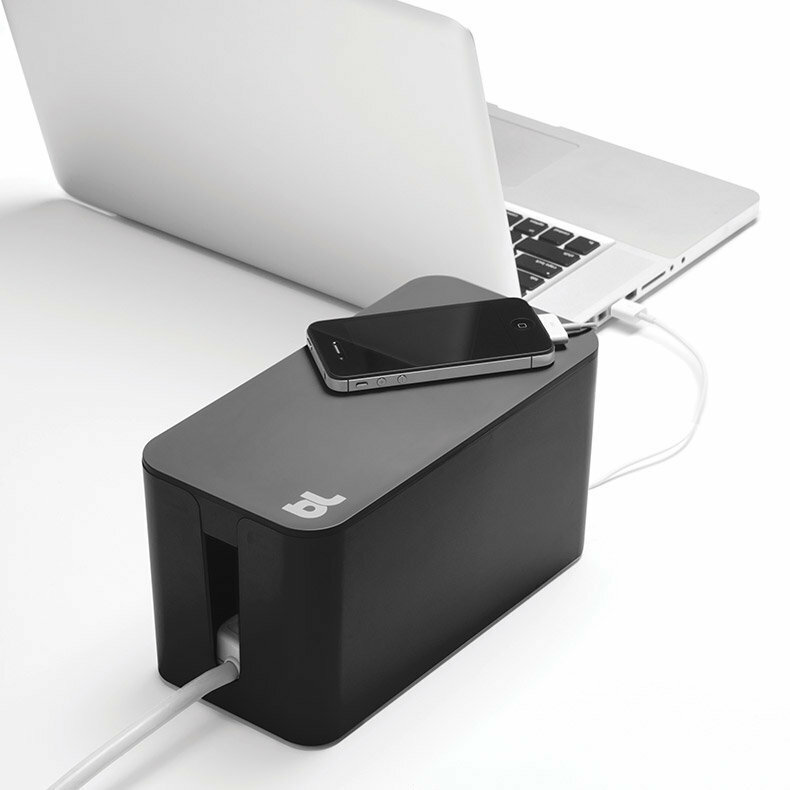 They each have their purpose... At LaPaDD, we like both! 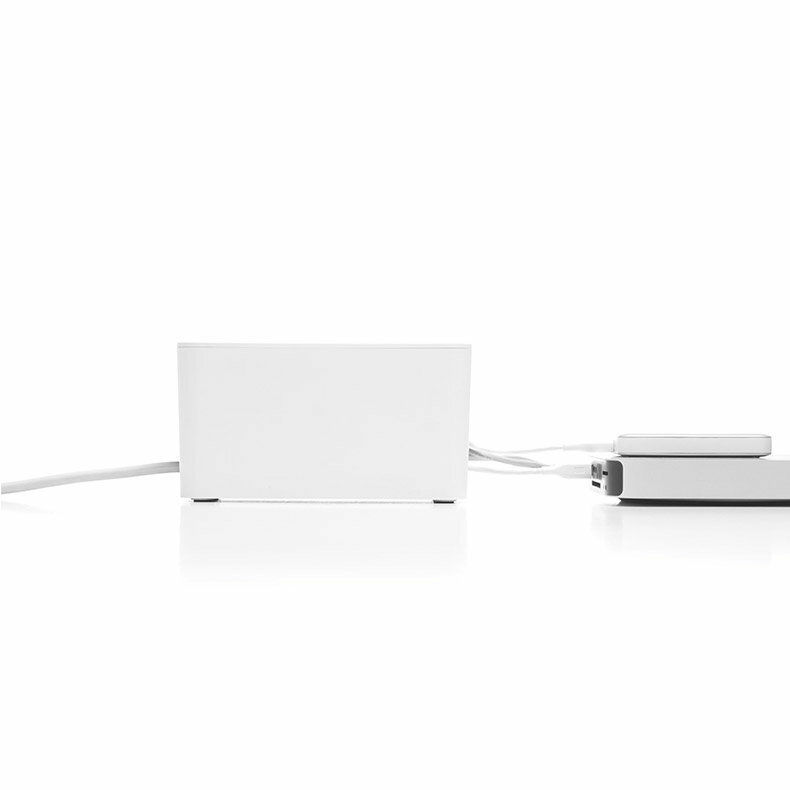 Cable Box Mini is the baby sister of the CableBox, designed for much longer power strips and to house more sedentary installations. 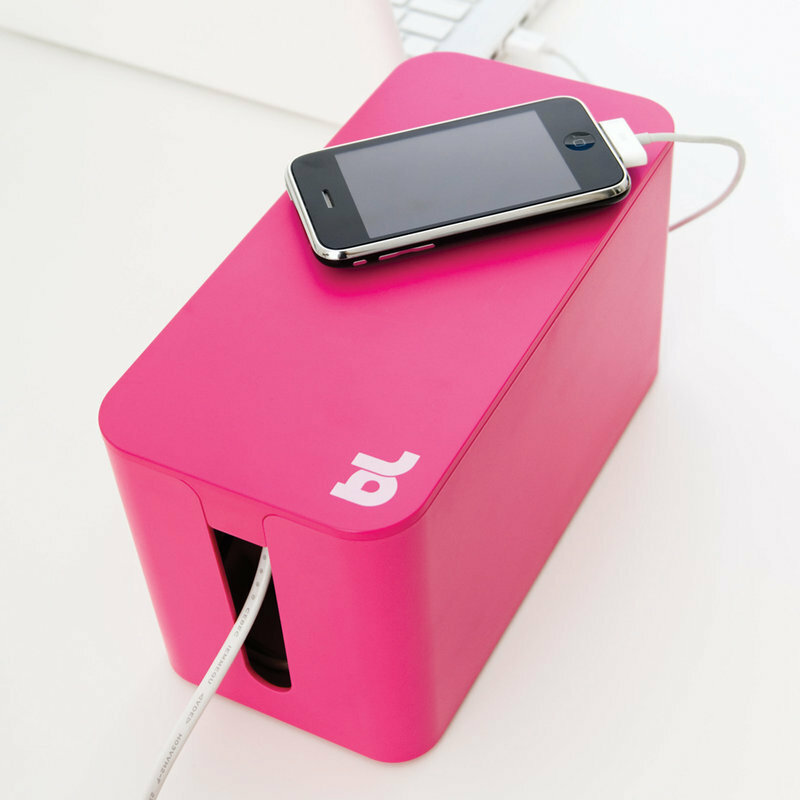 CableBox Mini is the ideal charger box for smaller and more portable devices, transformers or peripherals. 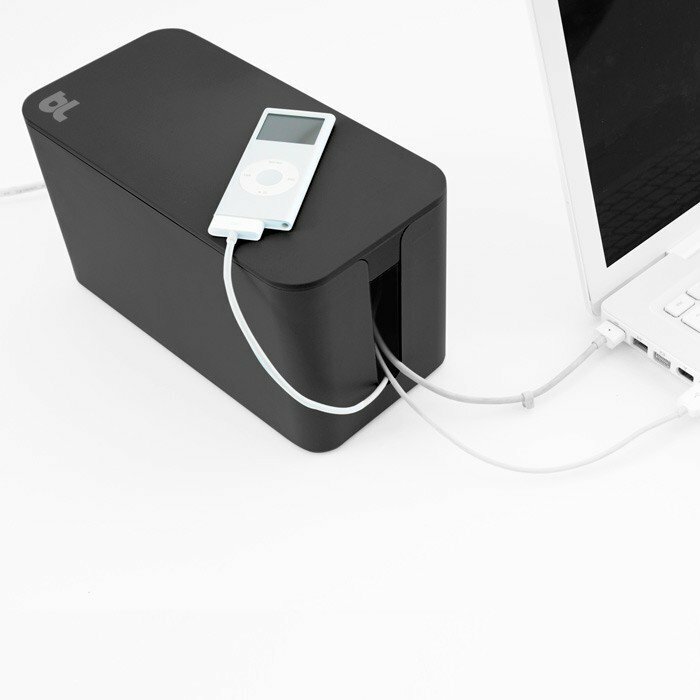 In both its versions, you can place anything on top of it, be it a modem, a mobile phone or a reasonable size device. 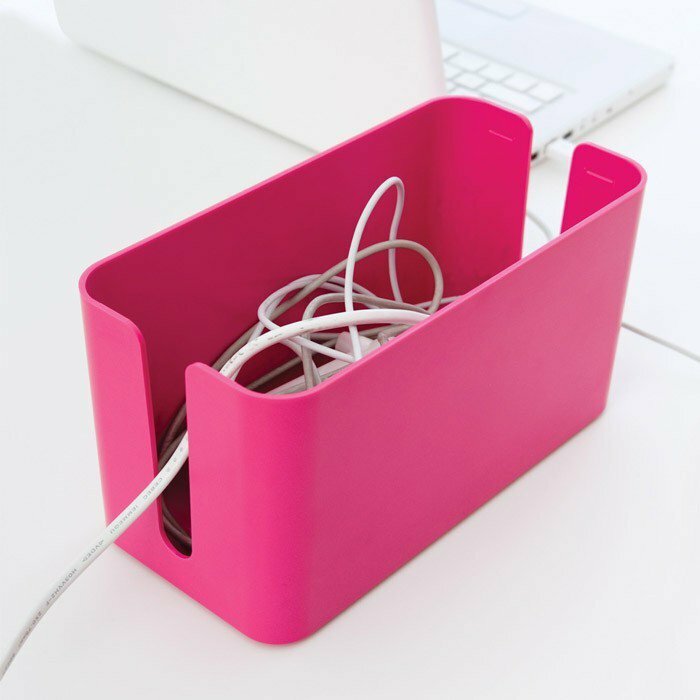 ultra-functional - its format and slits are perfectly designed to be efficient as well as easy to use. 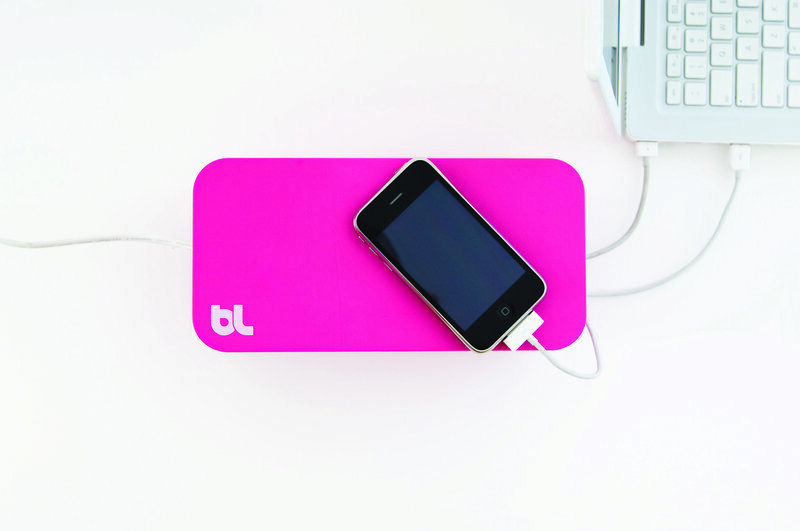 It will deliver the service as promised and will surprise you with its usefulness. 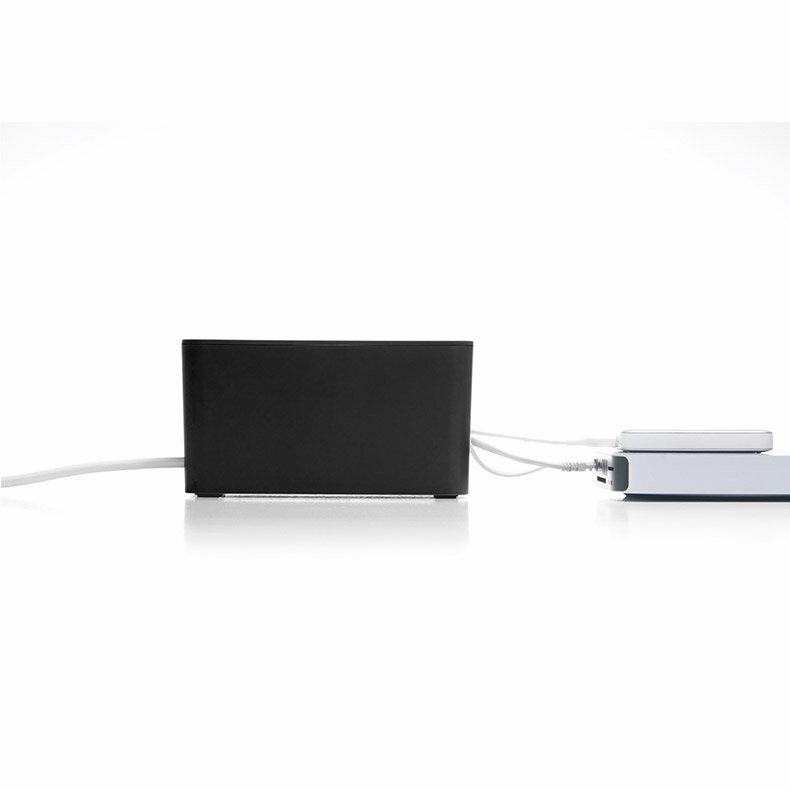 sober elegance - its compact format is designed to keep it visible and accessible: you will therefore be able to appreciate the quality of its design and manufacturing.